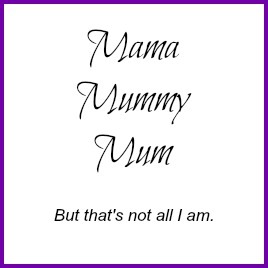 The festive season has well and truely arrived and with it lots of wonderful Christmas treats. 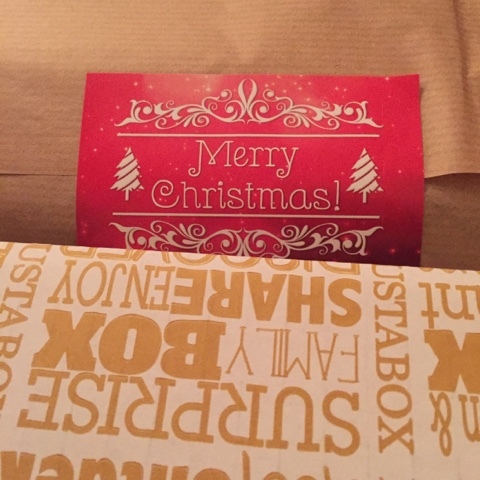 Degustabox have made their November box into a seaasonal treat, packed with all sorts of goodies that will definitely help instill some Christmas spirit into you. 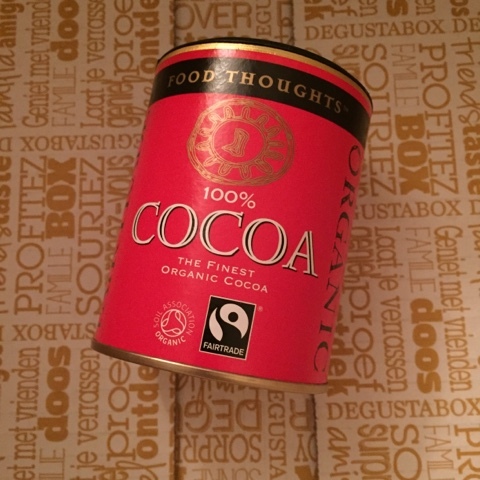 So let us start with this months DB's Discoveries, this month it is the turn of Food Thoughts Cocoa Powder £2.35 : Fairtrade and organic, this cocoa powder is perfect for those cold winter nights, throw in a candy cane to stir with and you have yourself a lovely warming drink. 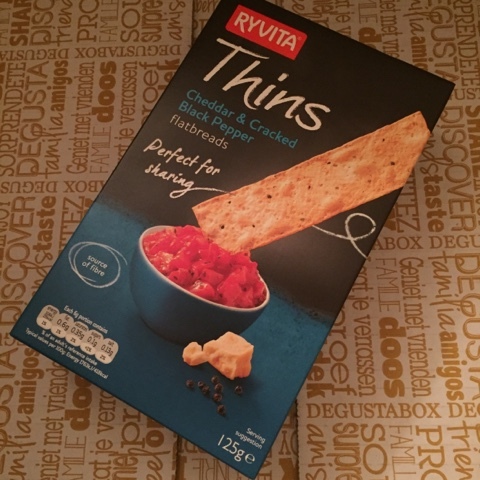 Ryvita Thins £1.89 and Green & Black olive Crispy Crackers £1.29 : Perfect with an array of toppings such as cheese and chutney but also brilliant for dipping in soups. 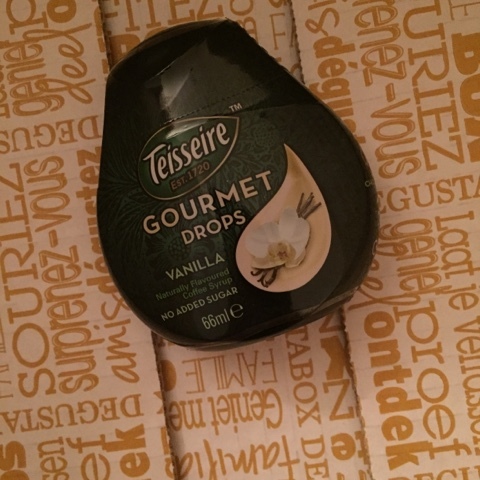 Teisseire Coffee Syrup £2.79 : I love a good coffee, I need a caffeine hit daily and these add a delicious but not too sweet flavour when I fancied something other than straight up black coffee. 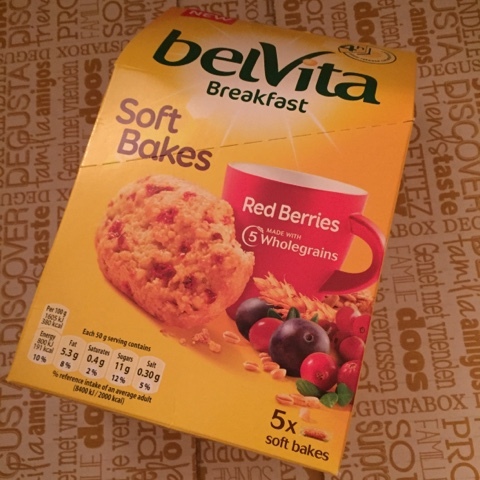 Belvita Soft Bakes £2.79 : These were a big hit at breakfast time with all of my kids, we were sent the red berries flavour but they are also available in golden grain or chocolate chips. 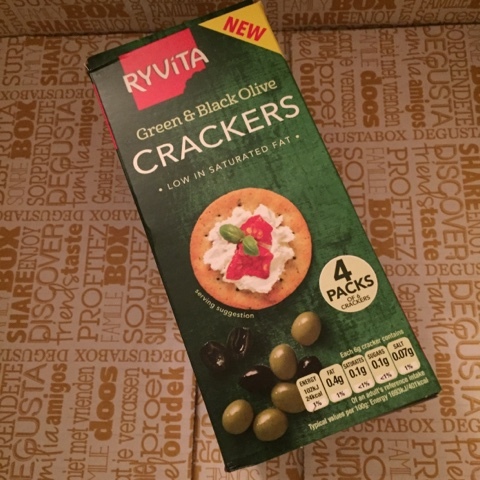 Packed full of vitamins they are great way to start the day. 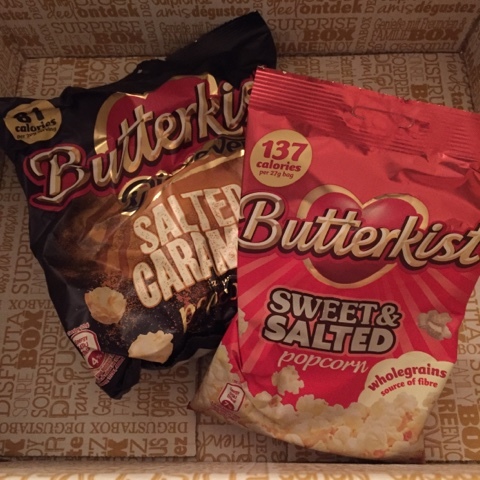 Butterkist Popcorns £2.04 : Anything salted caramel flavour wins me over and these were no different, I was reluctant to share with my children, I did however let them sample the sweet and salty ones, they didn't last long! 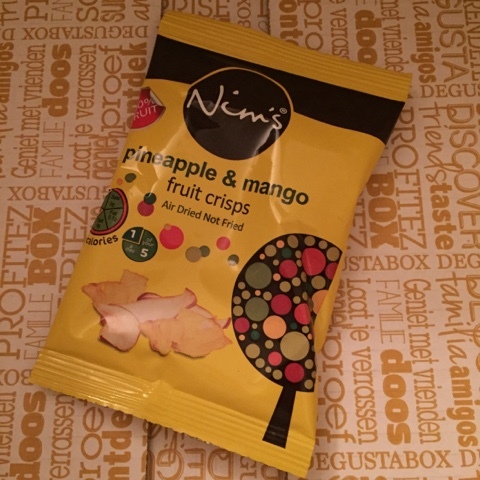 Nim's Fruit Crisps £0.99 : I'd say these a perfect healthy snack, 1 of your 5 a day. The mix of pineapple and mango was perfect, reminded me of a cocktail. 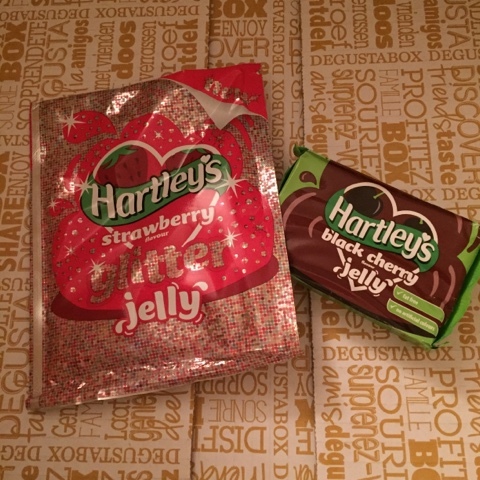 Hartley's Jelly £1.29 : Wibble wobble wibble wobble jelly on a plate, loved the glitter one, what a magical touch. 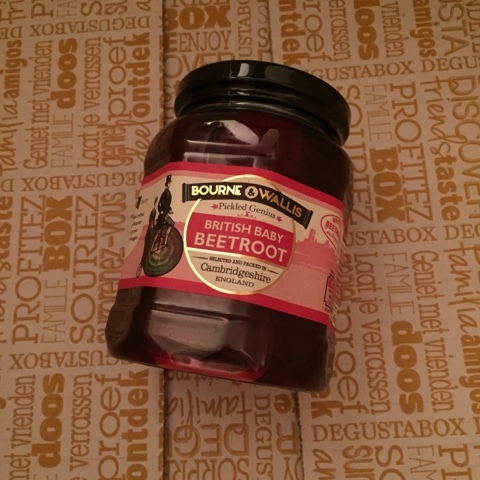 Bourne & Wallis Beetroot £1.40 : I think beetroot is a love or hate thing, I happen to love it snd would quite happily eat these straight from the jar mmmm. 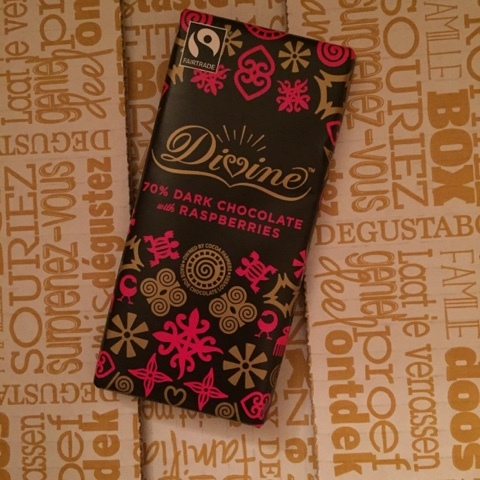 Divine Dark Chocolate With Raspberry £1.00 : An ideal size as you get a chocolate fix without overdoing it however I wasn't a fan of this flavour, a bit too sour for me. 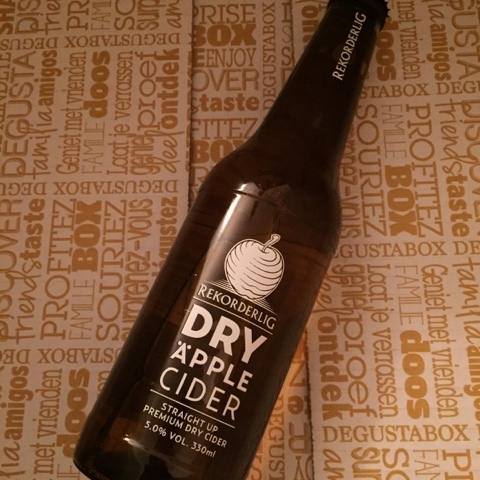 Rekordelig Dry Apple Cider £1.49 : I'm a sucker for a good cider and rekordelig is a brand I know and love, this will definitely be stocked in my fridge over Christmas. 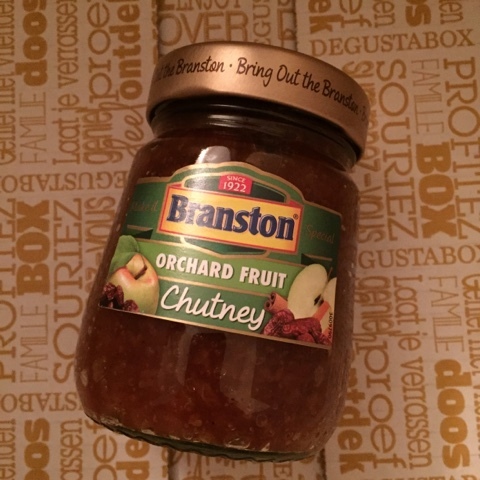 Branston Orchard Fruit Chutney £1.49 : This was a taste sensattion. Perfect with the above mentioned crackers and a slice of mature cheddar nom nom nom. 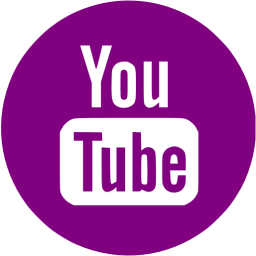 If you like what you've seen why not try a box yourself. 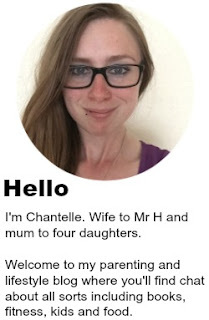 Use code BLDEG15 to get a whopping £6 off of your first box!